I use Spearmint Essential Oil either as a complete substitute for Peppermint Essential Oil or to blend with the peppermint to tone it down whenever I'm concerned that the menthol in peppermint may overpower a blend. Spearmint Essential Oil is a somehwat more subtle oil than peppermint because it contains significantly less menthol, but can be used for similar fragrancing applications. I especially enjoy incorporating Spearmint Oil into blends intended for easing headaches or stress. The fresh, clean aroma of Spearmint Essential Oil blends well with other essential oils including peppermint, rosemary, basil, bay laurel, orange and lavender. Emmotionally, I find Spearmint Essential Oil to invigorating. Mentally, it helps me to move torwards "fresh" ideas. Minty, slightly fruity aroma that is less bright than peppermint. Source: Julia Lawless, The Encyclopedia of Essential Oils (Updated Edition) (London: Harper Thorsons, 2014), 140-141. Source: B.M. 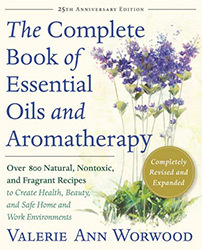 Lawrence, Essential Oils 1988-1991 (Wheaton: Allured Publishing, 1995), 20. Source cited in Robert Tisserand and Rodney Young, Essential Oil Safety (Second Edition. United Kingdom: Churchill Livingstone Elsevier, 2014), 427.